The April photo scavenger hunt results are rolling in and I can tell you I’m loving them so far! I’m really enjoying seeing everyone’s take on the shots. You have until tomorrow to post and drop me a link or drop me a note letting me know you need a couple more days to finish up. Like our friend Scott, I will write a wrap-up post about the results. Here’s my look at the list. When I first thought of this prompt, I worded it the way I did because I thought it left it wide open for interpretation. I had the idea in my head to try to create the shape of a body, perhaps in the sand, and then fill it with water for an extra cutesy interpretation, but I went traditional. It’s got me thinking about coming up with more word-play fun for June though! This is part of my husband’s HO scale Tyco toy train from when he was a little boy. There are actually train tracks in my town, but I never managed to have a camera available when I was out and a train went by. I was poking through my girls’ old toys in the basement when my husband came home and asked what I was doing. “A train?” he asked, “I’ve got a train,” and promptly came up with an old box with all his train cars and track pieces. Sarah, in action, doing her math homework, wearing one of her favorite hooded sweatshirts. Lilac buds from the other evening I wrote about with all three extension tubes attached to the 55-250mm lens. I’m still wondering if anyone is going the Budweiser route for this one! 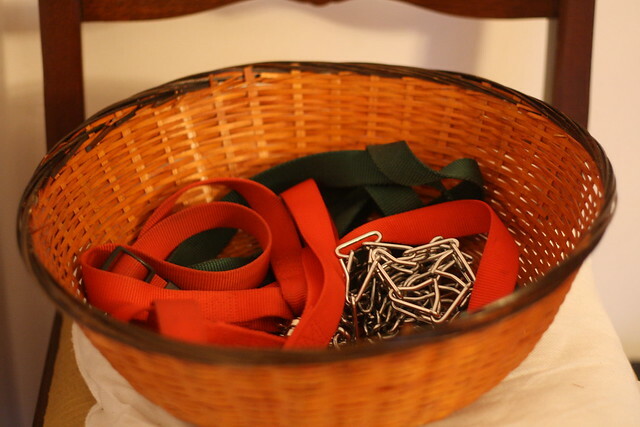 The favorite basket of Teddy and Daphne – it stores the leashes and collars for “walkies.” Teddy regulary nudges this basket with his nose to try to give me a hint about what he’d like to do! He wasn’t carrying any treats or colored eggs, but a bunny nonetheless, spotted at the edge of our driveway. If ever there was karma, this had to be it. The day after I posted my list for this hunt, including my bonus of a close-up Mr. Cardinal, this guy landed on my suet cage and hung around to enjoy a snack while I got to take as many pictures as I liked! Ever since, it seems, he’s been hanging around more than I’ve ever had a cardinal hang around. Remember it isn’t too late to get your photos posted! I thought about Budweiser but we don’t drink the stuff so I didn’t have one handy. Your lilac buds and bleeding heart are beautiful. It was indeed kind of Mr. Cardinal to pose for me! 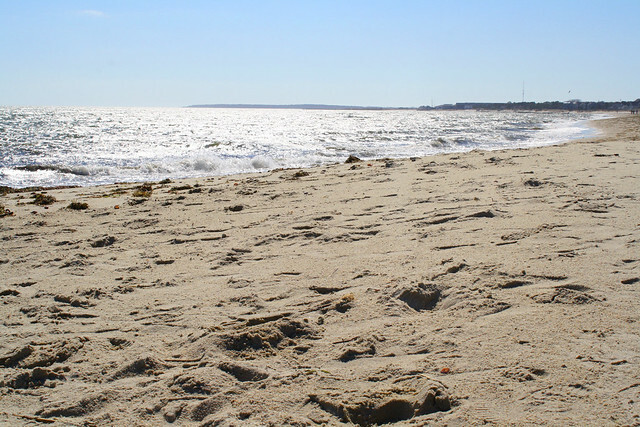 I enjoyed your finds, Karen, especially the beach in South Yarmouth, so close to my grandparents’ beach in Dennisport. I also love the bunny and the cardinal – he seems to be posing for some of those shots! 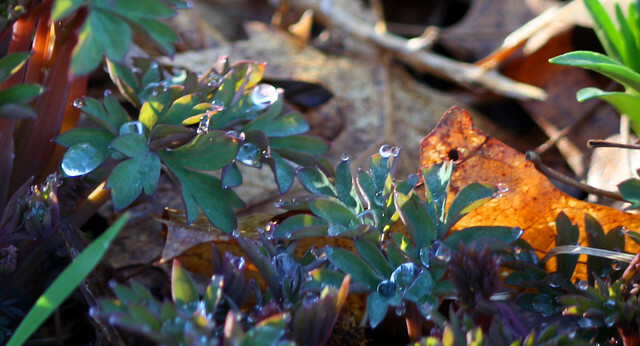 Thanks Barbara – I know you enjoy the Cape Cod shots! Great shots of the cardinal!! Alas, time slipped away again – and I forgot all about the scavenger hunt…. 😦 Maybe I can remember next time!! I DID, however, get a shot of a cardinal, but it’s from directly underneath him!! Aw bummer, Holly! Feel free to put together a post with shots from your archives if you’d like to! My thought in doing these hunts is to get people out shooting but if you’ve got pictures you’d like to use, I’d like to see them. This looks like a fun scavenger hunt, Karen. I love especially your first picture of Nantucket Sound. Your daughter in the hood intrigued, as did the lilac buds. Question. I don’t know whether there is still time to participate or not (we’re leaving town Tuesday) but can you use old photographs or do they have to be brand-spanking-new-pics? Thanks Kathy. My original intent with the hunt was to get people out shooting, but if you’ve got some shots that you’d like to use, please feel free! Let me know if you decide to participate and leave me a link in the original post with the list for the hunt. I participated & provided a link. Thanks, Karen! Fun! This was so much fun! I did it at the last minute, yesterday which put the pressure on, but made it even more fun! I posted my link on your original post about the challenge. I had a great time, thanks for inspiring me to get out there and find stuff! I’m glad you had fun Dawn – and thanks for the birthday wishes! Très jolies photos pour ton Scavenger Hunt, j’ adore le bourgeon de lilas et le lapin tout mignon. How lucky that you found a cardinal so willing to pose for you! And a real bunny! 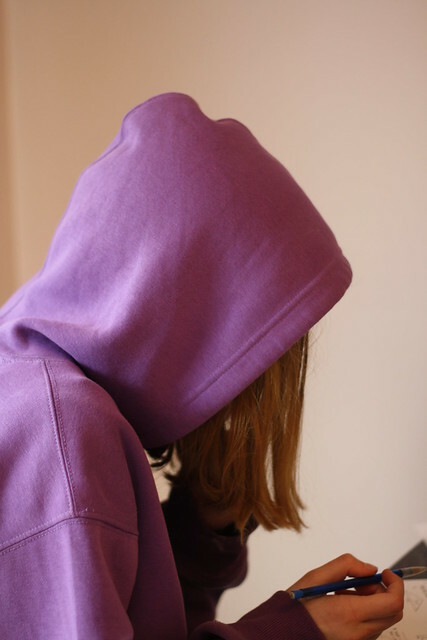 I thought about a hoodie jacket as my “hood”, too, but Sara wouldn’t go for it, even when I promised that I would only take a picture of the hood, not her face. 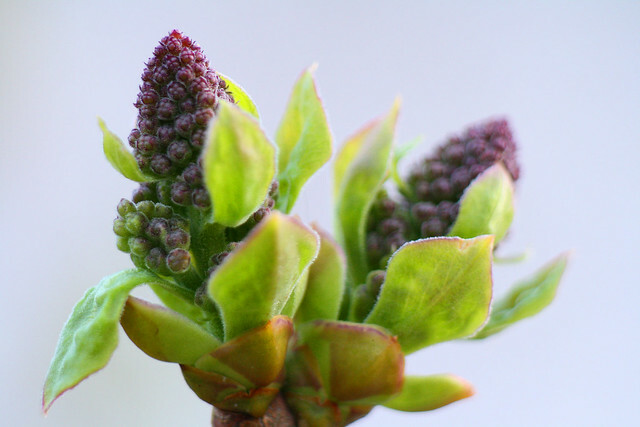 Love the lilac buds, so pretty! I actually just took the shot of my Sarah while she wasn’t paying attention; she was already wearing her hood for whatever reason! I fully intended to participate but time got away from me! I was trying to follow my prompts from Picture Spring too but even that fell by the wayside. Your cardinal shots are fantastic! We should be smelling those lilacs real soon. Hope you had a great vacation and birthday! Thank you Becky! Maybe in June you’ll have the time to give the hunt a try. I’m hoping to come up with another list then. Love the lilac bud and the bunny! I think the bunny might be even harder to get than the cardinal. Thank you. 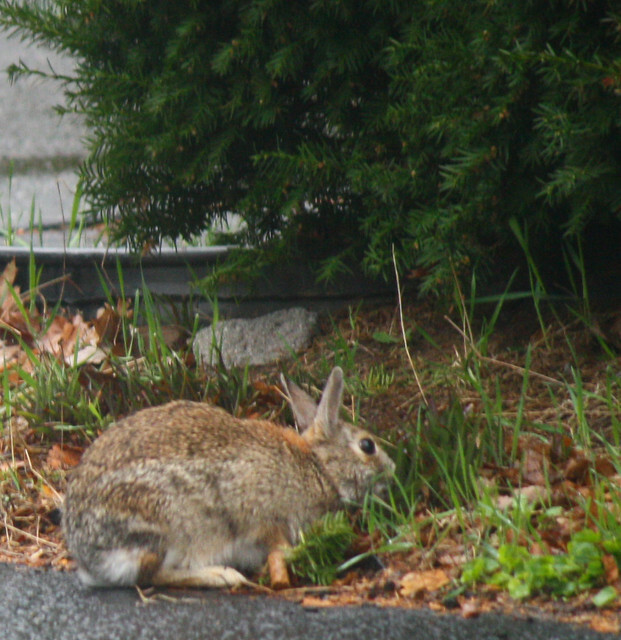 Bunnies seem to hang around here a lot, so that shot wasn’t too hard – must be all the tasty dandelions in my lawn! I had the perfect bunny shot and missed it. At our town’s egg hunt, the Easter Bunny hopped onto one of the playground swings. By the time I got my camera back out, he had moved on.